If you are thinking about learning to drive for the 1st time or have some driving experience and you are looking for a great value Driving School, then you have come to the right place! At Medusa School of Motoring, our key objective is to make your learning experience safe and successful and help you on your way to achieving your goal of obtaining your UK Driving Licence. We can also provide intensive courses so that you can pass quickly and PASS PLUS to make you even safer on the road once you have passed. When you begin taking driving lessons with us, you will be assigned your own Driving Instructor and will have full online access to his/her diary which will allow you to self schedule your lessons. We will try to assign you to someone whose work pattern best fits with your needs as this will give you greater flexibility and control. Lessons will be taken in your instructor's car. All vehicles are maintained to a high standard and include air conditioning, airbags, dual controls and power steering. If you would like to know the exact car that you will be driving then please let us know at the time of registration and we will be happy to provide this information to you. Please call 0800 958 9520 for more information and to book. Note: You will use the same car throughout your learning and for the practical test. 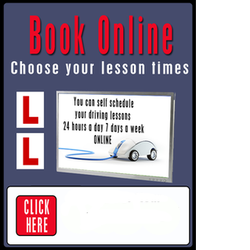 We have a variety of durations for driving lessons in which you can book and these range from 1 hour to 5 hours depending on your circumstances. As you will have your own account with Medusa School of Motoring and be assigned your own driving instructor, you will have the ability to book everything yourself. Therefore if you only feel like 1 hour one week but would like 2 hours the following week; that's fine! You have full control! On the day of your test we will reserve 2 hours for you so that you can take an hour before the test to prepare and we allow 1 hour for the test itself. PASS PLUS is usually taken in 2 hour sessions but this can be longer if required. Most pupils opt to be picked up at their home address however you can specify a different pick up point for your driving lessons such as your school, college or place or work. For example, you live in Crawley Town Centre and you go to school 5 minutes from Crawley Town Centre. As this is not far from the normal pick up point we would be able to accommodate your request. It is also worth mentioning at the time of booking with us that you may sometimes want to be picked up from a different address as we can add this to your account details. You may also specify a different drop off point but this would need to be discussed at the beginning of your driving lesson and cannot be guaranteed as it could impact on your instructors ability to travel to their next appointment. 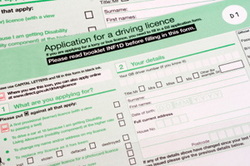 You will need to ensure that you have a valid UK Provisional Driving Licence issued by the DVLA. You will need to show this to us to be allowed to drive on a public road. 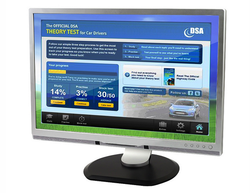 You will also need to ensure that your eyesight meets the minimum eyesight requirements as set out by the Driving Standards Agency. If you need vision correction to meet these requirements it is your responsibility to ensure these are worn at all times whilst driving. 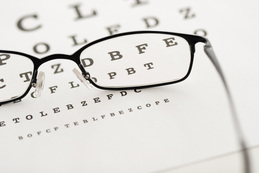 More information regarding minimum eyesight requirements can be found here. You will also need to ensure that your eyes meet the required standard on the day of your test. Medusa School of Motoring are able to provide you with all the training material required to pass the Theory Test and this can all be conveniently done online. All this online training is available to all Medusa School of Motoring pupils FREE. Click on the link below to access, you will need your login information. 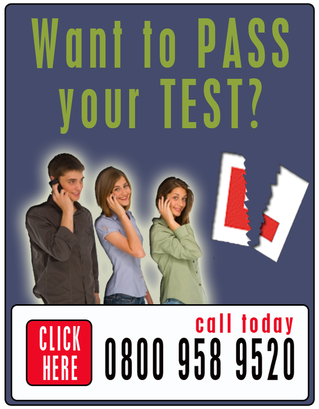 If you want to be taught by the best and get quality affordable driving lessons give us a call now!